As we continue to hope for the birth of a new era of environmental responsibility, we can draw inspiration from those who have gone before us and done so much to move us forward. Here are the abbreviated biographies of six environmentalists who invested their lives into the noblest of noble causes. The executive director of San Francisco-based environmental group Rainforest Action Network, Rebecca Tarbotton died in 2012 at the age of 39. Becky, as her friends called her, was well known for protecting forests, working to move the country off of fossil fuels and defending human rights through bold, effective, and innovative environmental corporate campaigns. Rainforest Action Network works with major corporations on environmental projects, and Tarbotton recently brokered an agreement with the Walt Disney Company that changed the way the entertainment giant uses paper. 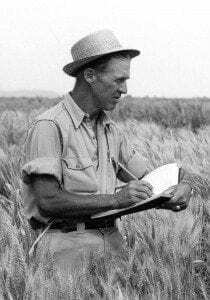 A man called the “Father of the Green Revolution,” Norman Borlaug (1914-2009), would have turned 100 on March 25th (National Agriculture Day). He was a stalwart promoter of agricultural science and the recipient of many awards including the 1970 Nobel Peace Prize, the Congressional Gold Medal, the Presidential Medal of Freedom, and the National Medal of Science. He brought together genetics, fertility, and water to make major contributions to the science of agriculture. His work on agricultural practices increased food production around the world and are thought to have helped to save at least a billion lives since the 1950s. Borlaug was a great communicator who was able to converse with scientists, politicians and farmers. One of the founders of environmental law, David Sive, died on March 12 at the age of 91. This university professor argued precedent-setting cases including the Storm King Mountain case. He helped establish a number of environmental advocacy groups long before it was fashionable. A past chairman of the Atlantic chapter of the Sierra Club, he was also a founder of the Natural Resources Defense Council, the Environmental Law Institute, Friends of the Earth and Environmental Advocates of New York, and many other groups. Although his efforts focused on the Northeastern U.S., he worked to preserve wild areas across the country from pollution and development. Leading environmentalist and wilderness writer, Peter Matthiessen, died on April 5 at the age of 86. Matthiessen worked to protect and preserve nature. In “Wildlife in America,” his first nonfiction book, he labels man “the highest predator” and one uniquely prone to self-destruction. Matthiessen became a Zen Buddhist in the 1960s, and was later a Zen priest. Prolific writer, environmentalist and wilderness advocate, Farley Mowat, died on May 6 at the age of 92. During the course of his literary career he penned a number of novels that eloquently speak to the overarching value of the natural world. The environmental themes that permeate his 40 books have global appeal and his writings have been translated into more than 20 languages. For almost 80 years, Mowat was a passionate nature advocate. Although he won many awards, his lasting legacy may be as a man who helped us to learn to live in harmony with the natural world. If we fail to heed his teachings, he may be remembered as one of the people who tried desperately to pull us back from the brink of our own self destruction. Storytellers like Mowat and Matthiessen weaved a narrative that transformed people’s world view. Sive started many environmental groups and set important ground breaking legal precedents Borlaug put science to work to feed the world. Tarbotton and Bonds were environmental advocates who started movements that have created lasting change. These six people employed their differing skill sets and individual areas of focus, to change the world for the better, each in their own unique way. 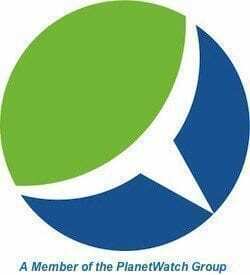 They demonstrate that regardless of our areas of expertise, people of diverse abilities can apply their talents to the important work of environmental advocacy. For each well known environmentalist, there are countless thousands whose names may not be recorded by history, but who have tirelessly worked to defend nature for posterity.